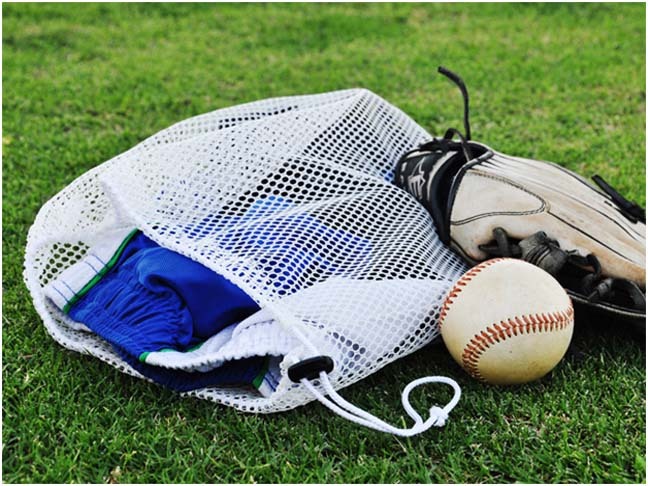 Over the years my sons have accumulated about a dozen bags of all shapes and sizes. After a tower of bags stashed in a closet fell on top of me I decided enough was enough and vowed to figure out a carry-all bag solution that could replace all those bulky bags. 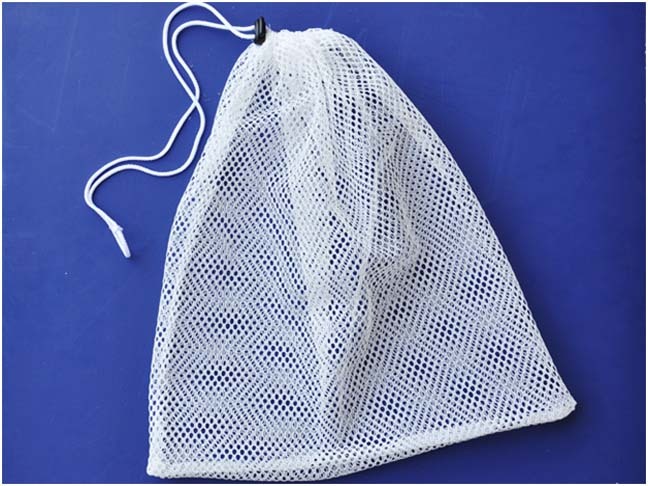 I finally landed on making a DIY mesh bag…and then I made about 10 more. What’s great about these bags is that they’re so cheap to make (which is great if your kids are like mine and are constantly misplacing all their stuff), and they literally are the best bag for everything. Sweaty gym clothes or swim trunks can dry out in them, stashing sandy toys in them means that by the time they make it home the sand been shaken off outside and not in my house, and heck, I even wash my delicate lingerie in them. 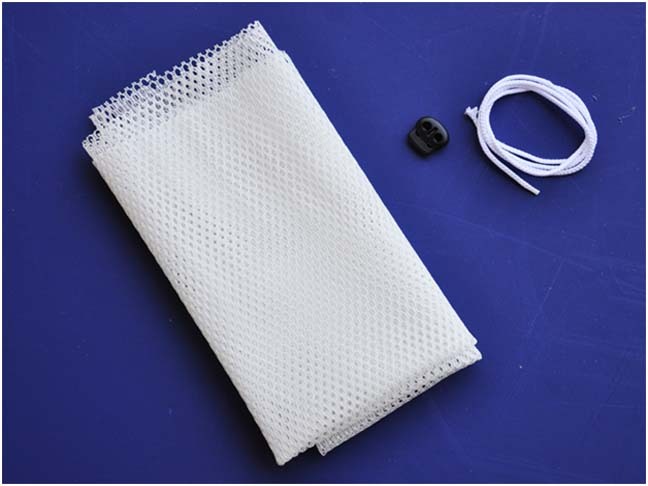 If you take this project on, make a bunch of bags, not just one. I promise that you and your kids will be using them constantly. Step 1: Begin by cutting your fabric. Since you bought ½ yard of fabric, it is already cut at 18 inches. 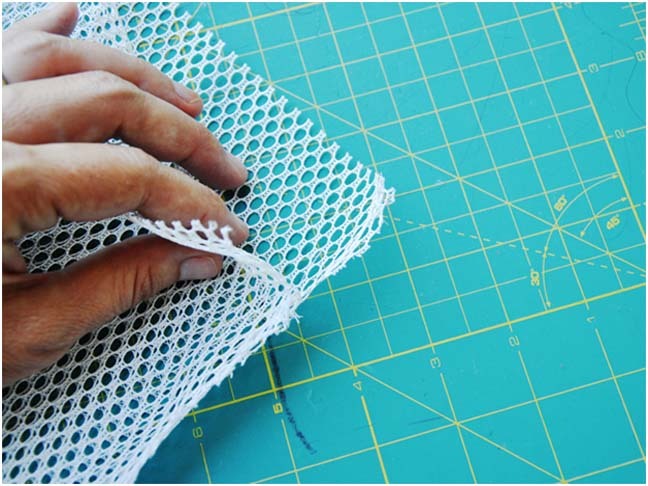 Fold the fabric over and cut the sides to 14 inches wide. 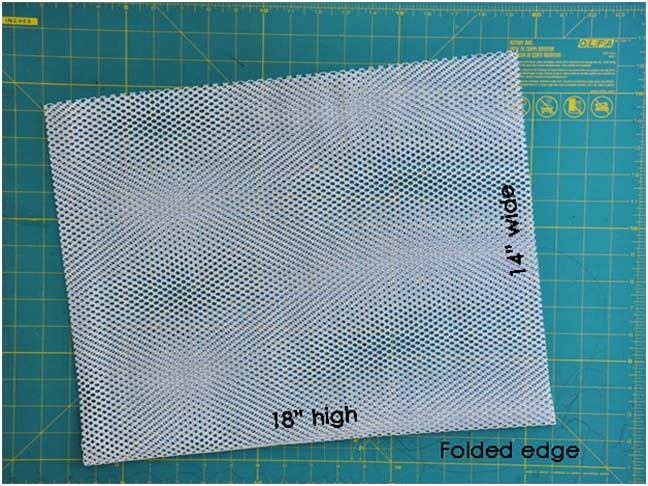 Step 2: Sew with a ¼-inch seam and stitch along one of the 14-inch sides and up the 18-inch open edge. Stop about 1.5 inches before you get to the top. Leave unstitched. Back-stitch to secure. Step 3: Still working on the wrong side of the fabric, turn in the raw edge a bit and then turn down to stitch a channel for the cording. 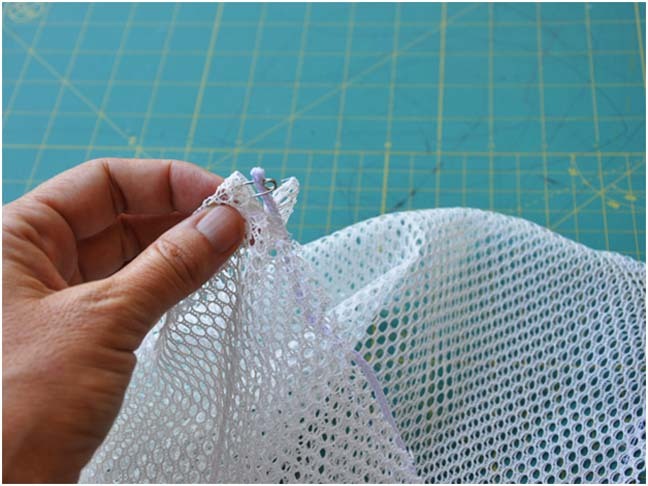 Step 4: Attach a safety pin to the end of the cording and thread through to the other side. 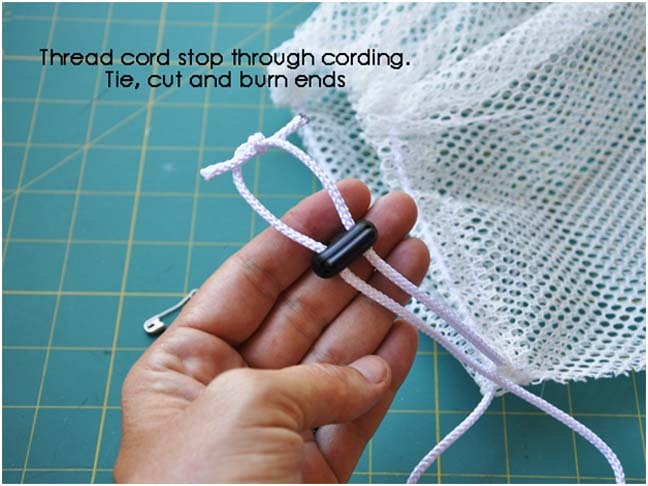 Step 5: Thread the cord stop through both ends of the cording. Tie in a secure knot. Cut the excess ends off and burn edges to prevent fraying. And you’re done. 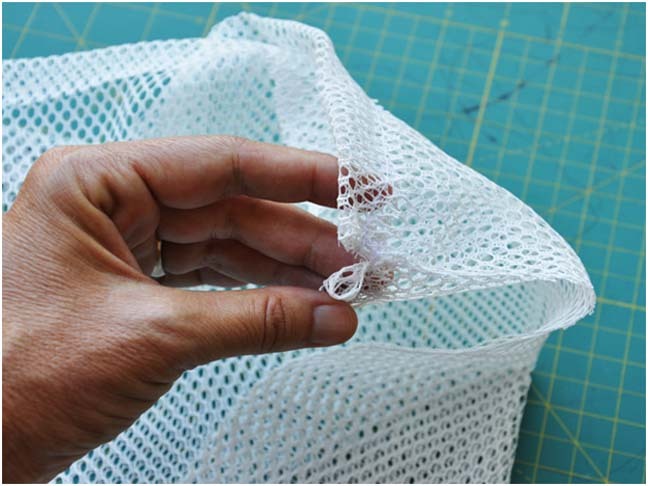 This DIY mesh bag is easy and functional—just the way I like it.